Nowhere are the benefits of living in a master-planned community more evident than at Port Royal Place by Pemberton Group. Situated in Etobicoke, near Bloor and Islington, Port Royal Place is an excellent example of a master-planned community that works. 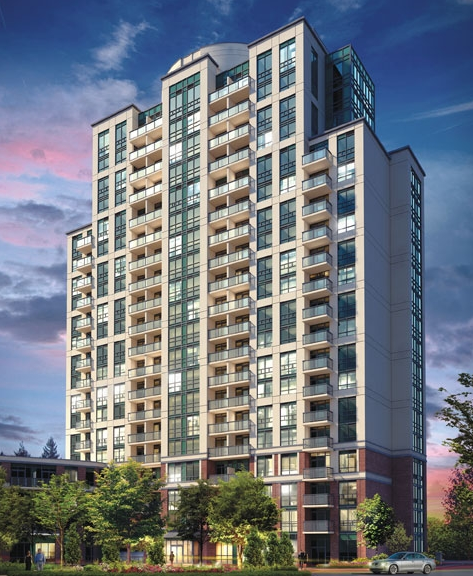 First and foremost, Pemberton Group is building a community designed to serve the long-term needs of the residents in a neighbourhood that is conveniently located, and one of the most sought-after in the city. Rising to 20 storeys, Vivid (rendering pictured here) will be the final addition to popular Port Royal Place and is currently in preconstruction. Complete, registered and offering 90-day movie-ins, is its sister building, 30-storey Palais at Port Royal. But, that’s not all that makes life in the master-planned Port Royal Place so attractive. Another key attribute is the sense of community that is fostered from the ground up. The term “master-planned” denotes that the developer has a vision for the community beyond simply building a series of condominium towers. Port Royal Place has its own park with a playground, splash pad and gazebo, and residents are already enjoying the existing on-site amenities such as the indoor pool, large party room with a caterer’s kitchen and bar, fully equipped exercise room and theatre. You can be sure that Pemberton Group, with its more than 50 years of industry experience, possesses the tools, talent and vision to make this one-of-a-kind community the best it can be. Vivid, the final building in the Port Royal community, is well worth checking out if you’re captivated by the idea of the master-planned community. Like every resident in the other buildings at Port Royal, Vivid owners will have access to excellent local shopping and services. The community offers easy to transit options like Highway 427, the Islington subway station and Kipling GO station. The development also has some seriously excellent summer incentives that you can learn about by clicking here! For more info on Pemberton‘s Vivid project call 416 239 8200 or email info@pembertongroup.com. Visit the website by clicking here.